Regarding what a jihadist reported about an ongoing hunger strike at Mornaguia Prison in Tunisia, and the miserable conditions inside, an Islamic State (IS) supporter suggested that fighters in Africa kidnap Western nationals to swap them for female inmates. 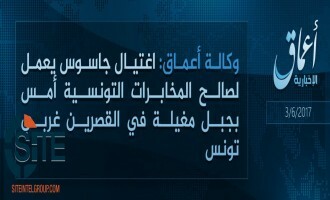 The Islamic State’s (IS) ‘Amaq News Agency reported that group fighters destroyed a Tunisian military vehicle in the country’s Kasserine governorate. Islamic State (IS) supporters distributed a video showing the beheading of a man identified as a “spy” for the Tunisian army on Mount Mghila. 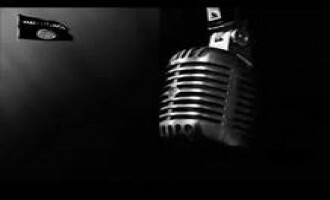 The 1 minute, 53 second video was posted on Telegram and Twitter on August 6, 2017. 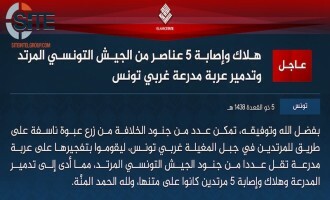 The Islamic State (IS) claimed bombing a Tunisian army vehicle in Jabal Mughila, Tunisia, killing and wounding 5. The Islamic State’s (IS) ‘Amaq News Agency reported that group fighters killed a Tunisian intelligence spy in the country’s Kasserine governorate. The Islamic State (IS) released the November 16, 2016 English edition of its al-Bayan provincial news bulletin, which included recaps of attacks in Syria, Iraq, Egypt, and Tunisia. The Islamic State's (IS) 'Amaq News Agency reported that IS fighters wounded 12 Tunisian soldiers in twin bombings in Kasserine governorate. 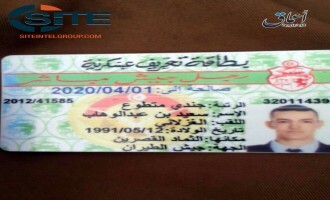 'Amaq News Agency reported that Islamic State (IS) fighters killed a Tunisian soldier at his home in Tunisia's governorate, and published a photo of his identification card. 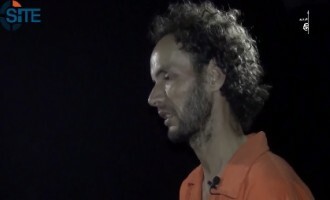 Anbar Province of the Islamic State (IS) in Iraq released a video of multiple attacks in five areas, including one by a Tunisian suicide bomber who claimed he spent time in the United States before "repenting" and leaving to join the group. The Uqba bin Nafi Battalion, the Tunisian branch of al-Qaeda in the Islamic Maghreb (AQIM), claimed that planted landmines detonated on army units in Tunisia’s Kasserine governorate. 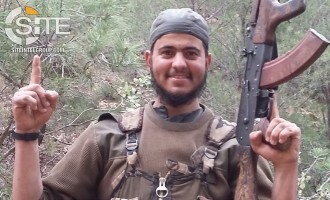 A jihadist gave a report on the death of an Islamic State (IS) fighter and media worker near Jebel Mghilla in Tunisia's Kasserine governorate. Motivated by a recent raid outside the Tunisian capital that resulted in the killing of two fighters and arrest of 16 others, a jihadist urged lone-wolves in the country to act immediately, but to take adequate security precautions not to implicate fellow Muslims. Tripoli Province, a division of the Islamic State (IS) in Libya, claimed a suicide bombing by a Tunisian fighter and seizing control over several areas in the vicinity of Sirte. 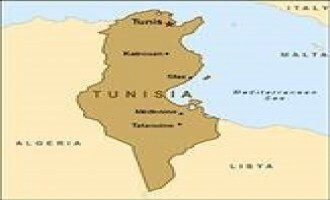 A message attributed to fighters in Tunisia denied the killing of a woman in Kasserine governorate and warned Muslims to stay away from potential targets, including embassies, tourist areas, and foreign companies. 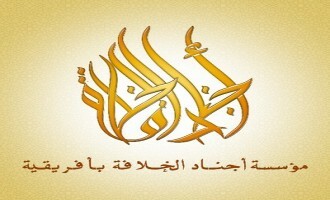 The Uqba bin Nafi Battalion, the Tunisian branch of al-Qaeda in the Islamic Maghreb (AQIM), denied murdering a woman in Kasserine governorate and accused the government of perpetrating the crime as a means to mobilize public opinion against its fighters. 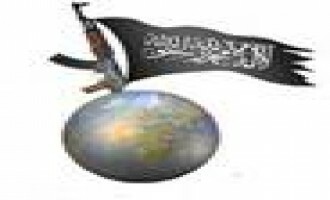 Al-Qaeda in the Islamic Maghreb (AQIM) reported that its Tunisian branch, the Uqba bin Nafi Battalion, ambushed National Guard forces in Bouchebka. As a new means of conveying Islamic State (IS) propaganda, the IS-linked ‘Amaq News Agency published its first interactive infographic, displaying charts and maps of “martyrdom-seeking operations” carried out around Kuwayris Airbase in Aleppo between September 17, 2015, and January 29, 2016. 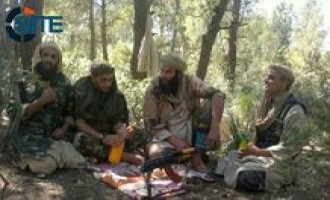 The Uqba bin Nafi Battalion, the Tunisian branch of al-Qaeda in the Islamic Maghreb (AQIM), claimed ambushing soldiers in the Chaambi Mountains. Tunisian fighters in al-Barakah Province of the Islamic State (IS) in Syria threatened attacks in Tunisia in a video, and executed an “apostate” of the Syrian regime by a gunshot to the head after hanging him upside-down from a tree. The Islamic State (IS) claimed credit for the suicide bombing on a presidential guard bus in the Tunisian capital, Tunis. The Uqba bin Nafi Battalion, the Tunisian branch of al-Qaeda in the Islamic Maghreb (AQIM), denied killing a teenage shepherd named Mabrouk al-Sultani. The Uqba bin Nafi Battalion, the Tunisian branch of al-Qaeda in the Islamic Maghreb (AQIM), gave a eulogy for a military official for Ansar al-Shariah in Libya who was killed amidst fighting in Benghazi. 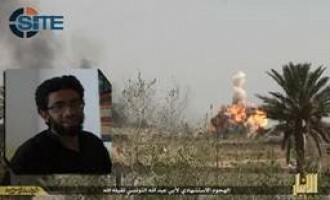 The Anbar Province of the Islamic State (IS) in Iraq claimed a suicide bombing by a Tunisian fighter on a group of Shi’ite Popular Mobilization forces in Ramadi. The Uqba bin Nafi Battalion, the Tunisian branch of al-Qaeda in the Islamic Maghreb (AQIM), asked Tunisian soldiers to recognize that they are “hired slaves” and to quit their positions. 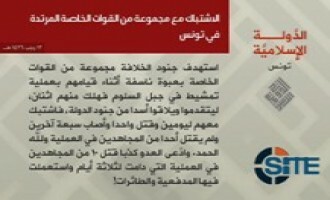 The Uqba bin Nafi Battalion, the Tunisian branch of al-Qaeda in the Islamic Maghreb (AQIM), denied reports that it kidnapped a customs officer. 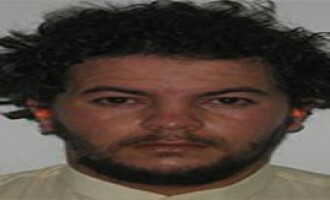 The Uqba bin Nafi Battalion, the Tunisian branch of al-Qaeda in the Islamic Maghreb (AQIM), denied allegations that it tortured a man it formerly held captive who accompanied a spy, and informed that the fighters involved in the clash with Tunisian soldiers in Kasserine withdrew to a “new” and “safe” place. 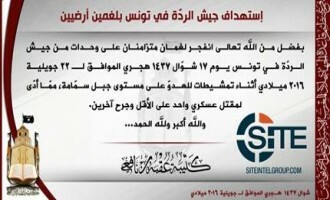 The Uqba bin Nafi Battalion, the Tunisian branch of al-Qaeda in the Islamic Maghreb (AQIM), claimed a clash with Tunisian soldiers in Kasserine and the execution of spies, and threatened any individuals who informs on fighters. 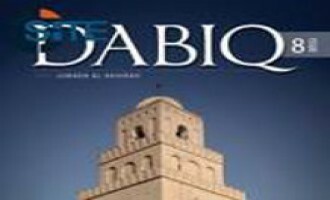 The Uqba bin Nafi Battalion, the Tunisian branch of al-Qaeda in the Islamic Maghreb (AQIM), remarked that the Tunisian government is squandering the money of its Muslim citizens in attacking fighters and imprisoning jihadists. 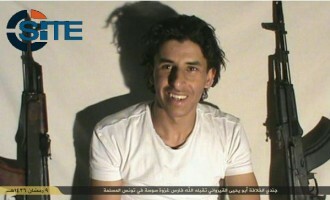 The Islamic State (IS) in Libya released a video showing the execution of a Tunisian national identified as a spy. 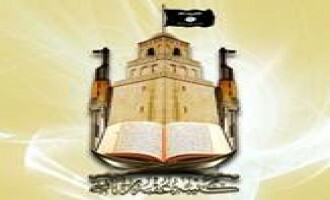 The Uqba bin Nafi Battalion, the Tunisian branch of al-Qaeda in the Islamic Maghreb (AQIM), acknowledged that one of its fighters killing Imam Salah al-Ferjani in Kasserine governorate, but stressed that it was “accidental” and not deliberate. 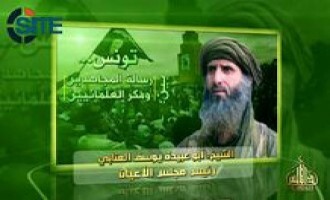 The Uqba bin Nafi Battalion, the Tunisian branch of al-Qaeda in the Islamic Maghreb (AQIM), announced its opening an investigation into the murder of Imam Salah al-Ferjani in the area of Zaouit Awled Ammar in Kasserine governorate. 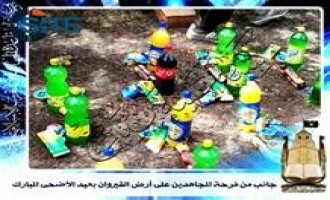 The Uqba bin Nafi Battalion, the Tunisian branch of al-Qaeda in the Islamic Maghreb (AQIM), denied reports that it left weapons at an abandoned camp as spoils for the enemy in Kef, near Jabal Warghah. Two days after claiming credit for an ambush on border guards in Bouchebka, the Uqba bin Nafi Battalion, the Tunisian branch of al-Qaeda in the Islamic Maghreb (AQIM), published a photo of the weapons and gear taken as spoils. 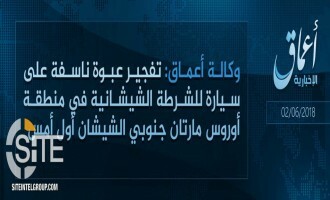 The Islamic State (IS) released the August 20, 2015 English edition of its al-Bayan provincial news bulletin, which notably included a Bayan-exclusive claim of an IED attack in Tunisia. 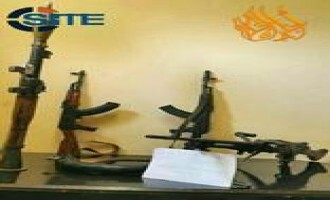 Ajnad al-Khilafah in Africa Foundation, a pro-Islamic State (IS) Tunisian jihadi media group, threatened Christians in Tunisia in a post that shows three photos of guns and an ammunition belt. 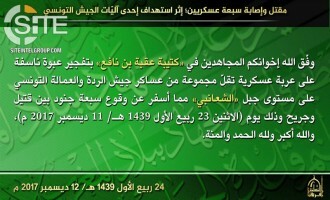 “Muslim Africa,” a division of al-Qaeda in the Islamic Maghreb (AQIM), published a eulogy from a writer identified as “Abu al-Ashbal Allah al-Maghribi” for a fighter killed in a security raid in Tunisia. 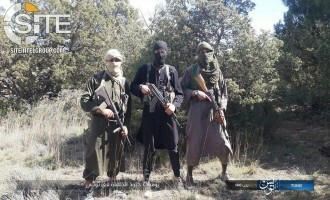 Ajnad al-Khilafah in Africa Foundation, a pro-Islamic State (IS) Tunisian jihadi media group, condemned Tunisian soldiers for protecting foreigners during the deadly attack at a tourist resort at Port El Kantaoui, outside the city of Sousse. Ajnad al-Khilafah in Africa Foundation, a pro-Islamic State (IS) Tunisian jihadi media group, promoted the deadly attack at a tourist resort at Port El Kantaoui, outside the city of Sousse, and warned of additional strikes. The Islamic State (IS) claimed credit for the deadly attack at a beach resort in Sousse, Tunisia, killing and wounding dozens of citizens of what it called the “Crusader coalition”. Jihadist-inspired attacks around the world in the past day have prompted celebration from Twitter accounts of jihadi fighters and supporters of the Islamic State (IS). 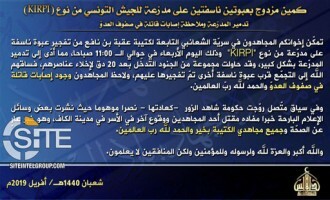 A message attributed to the Uqba bin Nafi Battalion, the Tunisian branch of al-Qaeda in the Islamic Maghreb (AQIM), gave additional information on its previously-claimed attack in Jendouba. The Islamic State (IS) released the English edition of its al-Bayan news bulletin for June 17, 2015, which included reporting of attacks in the Tunisian city of Sidi Bouzid and the group’s Fallujah Province, as well as IED attacks in Syria’s Damascus governorate. 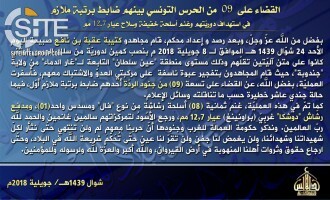 Two messages attributed to the Uqba bin Nafi Battalion, the Tunisian branch of al-Qaeda in the Islamic Maghreb (AQIM), claimed responsibility for attacks in Jendouba and Chaambi. 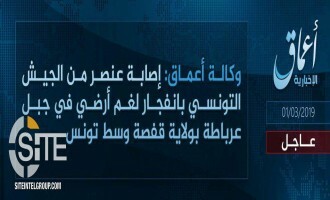 The Islamic State (IS) claimed credit for the attack on Tunisian National Guard officers in Tunisia’s Sidi Bouzid governorate. 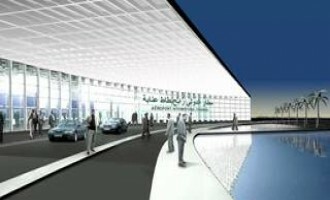 The jihadi media group Ifriqiyah Media warned Muslims about air travel via a particular Tunisian airline. 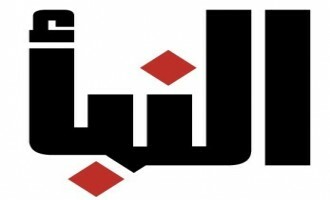 The Islamic State (IS) released the English edition of its al-Bayan news bulletin for May 26, 2015, reporting on its attacks in Iraq, Libya, Sinai, Syria, and Yemen, as well as an insider attacker at the Bouchoucha military base in Tunisia. 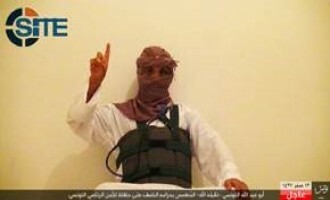 The Islamic State (IS) released an audio speech from a representative of fighters in Tunisia pledging allegiance to its leader, Abu Bakr al-Baghdadi. 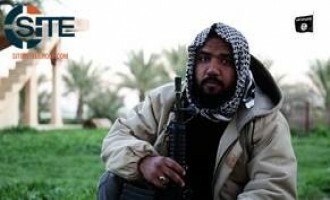 An audio speech attributed to a Tunisian jihadist urged Islamic State (IS) leader Abu Bakr al-Baghdadi to issue a call for fighters to mobilize to Tunisia. Ifrikiya Media posted the speech on its Twitter account on May 14, 2015. The Anbar division of the Islamic State (IS) in Iraq claimed several attacks within a wide-scale assault on the city of Ramadi that it dubbed the “Invasion of Abu Muhanad al-Suwaydawi,” including suicide bombings by British, Syrian, and Tunisian fighters. The Uqba bin Nafi Battalion, the Tunisian-branch of al-Qaeda in the Islamic Maghreb (AQIM), released a video documenting its training and its clashing with Tunisian soldiers on Mount Chaambi. 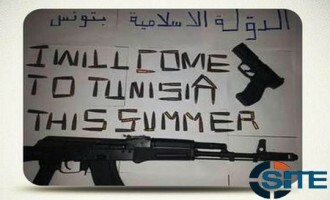 Ifriqiyah Media called on lone wolves in Tunisia to make a “summer of hell” in the country by killing foreigners, security forces, and spies through such means as bombing, poisoning, and running over people with a stolen car. 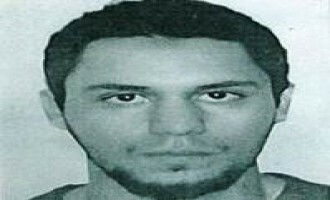 Ifriqiyah Media congratulated Tariq al-Harzi, a Tunisian national and Islamic State (IS) financier and recruiter, for the U.S. offering a $3 million bounty on him under the Rewards for Justice program. 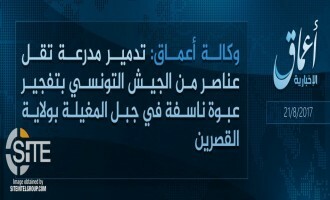 The Islamic State (IS) claimed killing three Tunisian Special Forces and wounding seven others in Jebel Salloum in Tunisia’s Kasserine governorate. A Tunisia-based, pro-Islamic State (IS) jihadi group calling itself “Jund al-Khilafah in al-Qayrawan [Tunisia]” denied reports that Tunisian forces killed ten fighters in Jebel Salloum in Kasserine governorate. 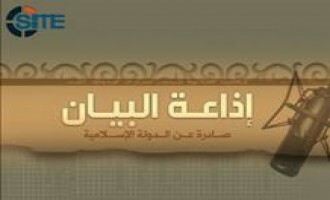 Al-Qaeda in the Islamic Maghreb (AQIM) released an audio speech from the head of its “Council of Dignitaries,” Abu Obeida Yusuf al-‘Annabi, inciting Tunisians to wage jihad and to fight the government. 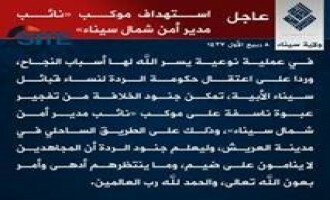 An alleged Tunisia-based, Islamic State (IS)-supporting group calling itself “Ajnad al-Khilafah in Africa,” claimed an attack on Tunisian army units in Jebel Salloum in Kasserine governorate. 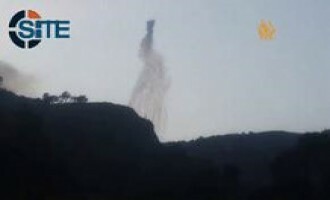 A Twitter account linked to the Islamic State (IS) posted a claim for an attack on Tunisian soldiers on Mount Mguila. 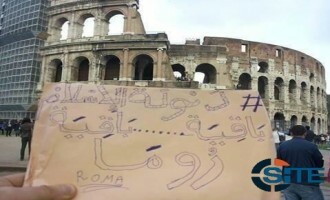 Ifriqiyah Media published a photo allegedly taken by a supporter in the Tunisian capital, Tunis, and described it as a message of warning from “Jund al-Khilafah” to Tunisian security forces. 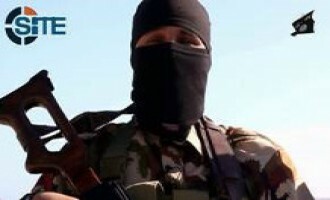 A Tunisian fighter in Tripoli Province of the Islamic State (IS) in Libya called on his fellow countrymen to join him in a video, and threatened that the group will mount attacks in Tunisia. 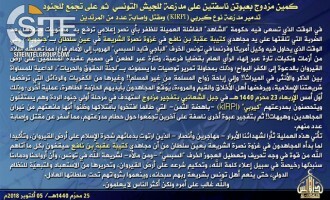 Ifriqiyah Media issued a “clarification” message identifying four groups and cells operating inside Tunisia, two of which are pro-Islamic State (IS). Tunisian jihadist Wanas al-Faqih gave a eulogy for Khaled Chaib (AKA Lokman Abu Sakhr), a slain commander in the Uqba bin Nafi Battalion, and urged the group to continue fighting despite the loss. 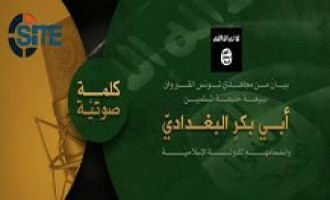 A group identified by Ifriqiyah Media as “Jund al-Khilafah in Tunisia” released an audio message declaring itself part of the Islamic State (IS), and claiming credit for the operation at the Bardo Museum and threatening more attacks. 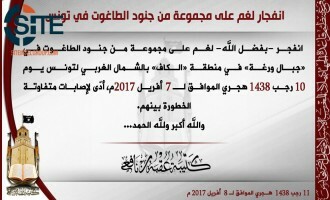 In a series of messages attributed to the Tunisia-based Uqba bin Nafi Battalion, the branch of al-Qaeda in the Islamic Maghreb (AQIM) acknowledged the killing of a commander, Khaled Chaib (AKA Lokman Abu Sakhr) along with a “small group” of fighters, and threatened revenge.